Laser and Optical Radiation consultants. Laser Protection Adviser. Although the AOR regulations can often be implemented in most workplaces by adopting a light touch approach, there are occasions where it’s not clear how well workers are being protected against exposure to potentially harmful exposure levels. This can lead to situations where not enough protection is being afforded to employees, or conversely, overly restrictive or uncomfortable controls may be unnecessarily being applied. 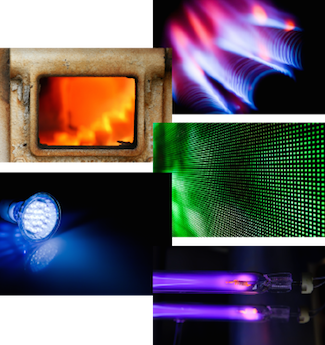 Where there is any uncertainty about the exposure conditions LVR are able to provide a cost effective assessment and report the exact nature of emissions, allowing you to determine control measures, and demonstrate compliance with the Control of Artificial Optical Radiation at Work Regulations 2010. LVR are equipped with a range of sophisticated instruments capable of measuring both visible and invisible optical radiation across all the regions specified in the regulations, where the Artificial Optical Radiation Directive (2006/25/EC) defines 15 sets of limits for non-laser light sources. It is not possible for one single instrument to evaluate all the hazard regions simultaneously, but by employing the use of several types of detection devices and techniques, then carrying out an analysis, we are able to provide you with a comprehensive report into the radiation present. We ensure that we do this in a fashion that straightforward to interpret, providing you with clear information on how employee exposure relates to the limits, as well as providing useful information such as the maximum allowable exposure times, and safe viewing distances, etc. The limits can appear complex, requiring a varied range of properties to be measured and evaluated. LVR possess calibrated meters, detectors, filtering, and light collection optics suitable for collecting optical radiation for analysis. The type of light source determines which limits need to be evaluated, and where a detailed spectral analysis is required. In these circumstances LVR can undertake complete spectra radiometric measurements from 200nm (ultraviolet), through visible light (400nm-780nm), through to near infrared (1400nm), for retinal hazard evaluation. The equipment used is compact and portable enough to allow assessments to be undertaken in a wide range of work environments across different industry sectors. Contact LVR to learn how we can help you better ensure your employee safety, and demonstrate compliance with the regulations.